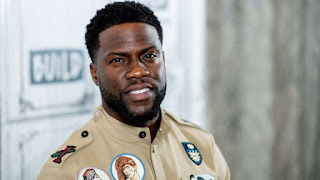 Home / Noticias / Kevin Hart Responds to Don Lemon Criticisms: "We Forgot That We All Learn"
Kevin Hart Responds to Don Lemon Criticisms: "We Forgot That We All Learn"
In response to Don Lemon's criticism of his reaction to resurfaced, old anti-gay tweets, Kevin Hart is asking "When did we get to the point where we forgot that we all learn"? In an Instagram posted Saturday, Hart made light of Lemon's Friday segment on him and defended his response. Hart has said he previously apologized for homophobic remarks and asserted that the resurfacing of his past anti-gay tweets constituted an "attack" on his career. "When did we get to the point where we forgot that we all learn, then we all have the ability to grow and with that growth comes a wealth of knowledge," Hart wrote. "You can’t change without a understanding of what GROWTH means. #Message #LiveLoveLaugh #HappySaturday"